How can I generate the fastest generated loads for multiple load cases without having to reenter the boundary points each time? The most convenient and fastest solution is to copy a load case to the next load case. If already generated loads have been created for several load areas in a load case (see Figure 1), all loads are transferred to the next load case during copying (see Figure 2). 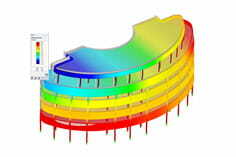 Subsequently, only the load values of the generated loads have to be adapted to the respective load case. 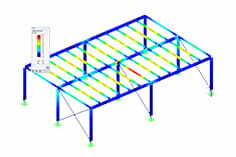 This method is particularly useful for plane structures whose load type remains the same.